Syn. : A. flavovirescens (Dicks.) Th. Fr., Bacidia flavovirescens (Dicks.) Anzi var. citrinella (Ach.) Vain. 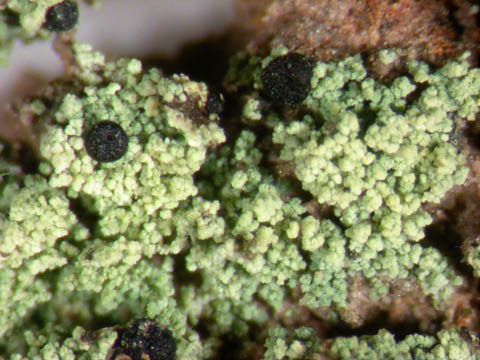 On rocks, mosses or soil, rarely lichenicolous on Baeomyces rufus. Belgium: Ard. : R, Lorr. : RRR. Luxembourg: Ard. : RR, Lorr. : RR. Lit. : L6: 139, NL87: 20, Kuborn & Diederich (2008), Vanek (1976: 143).